Jersey fabric. &apos;Vero amore&apos; print. Diamante skull print. Slim fit. Short sleeve.Jersey fabric. 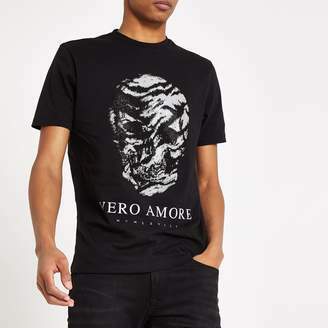 &apos;Vero amore&apos; print. Diamante skull print. Slim fit. Short sleeve.